Ever since I started offering my services as an freelance email developer, I’ve had the chance to witness the full gamut of what you’d call ‘work ethic’. Getting to know a variety of marketing agencies, small businesses, and startups from one side of the planet to the other has been a real eye-opener. In fact, it’s been downright enlightening. Working with some of these agencies has been really exciting. Though not an in-house part of the team, I’ve seen how the wheels turn, how people work together and, ultimately, achieve results that are outstanding. Being a part of this is very rewarding and satisfying. It’s probably also resulted in many happy clients on their end. While my relationship with these agencies has turned into a great experience… others have left something to be desired. Hard Work… a Thing of the Past? I don’t expect that my experience with every client is going to be stellar. But, one thing I’ve noticed with some agencies is that genuine hard work seems to be a thing of the past. At one time, the trademark of a good business was the importance they placed on quality service and customer satisfaction. I can rightly say that many companies are doing their best to go above and beyond the status quo. Others, however, seem to try to get away with doing the bare minimum, while charging clients a premium. While it’s up to each company to decide upon their own internal guidelines for working with clients, doing the bare minimum contributes to a negative view of work and results in a bad experience for everyone involved: agency employees, clients and partners as well. Instead of focusing on the maximum you can get for the minimum you can do, ‘work’ itself should be placed on a much higher pedestal. Working hard is an honorable way to care for our responsibilities. More importantly though, hard work contributes to our self-respect. When we discipline ourselves to stick with a task and to go above and beyond expectations for a client, we have the satisfaction of knowing that we held ourselves to the highest possible standard, the rewards for which transcend mere monetary value. A positive work ethic can bring intense feelings of satisfaction and accomplishment, whereas shoddy business practices degrade a person’s character. For example, join me for a moment at the Olympics, at the starting line for race walking. Race walking is a long distance foot race; it differs from running in that one foot must be in contact with the ground at all times. When they think no one’s looking, a race walker might be tempted to ‘run’ to gain time. The results for this infraction, however, could be disastrous. Obviously, the contestant could be disqualified. Even if they aren’t, though, this attempt to cut corners could cause them to lose their rhythm, in the end being even more costly in timing. All this aside, however, the greatest damage is inflicted within: they would lose the satisfaction that comes from achieving their results honestly. My Grandfather always spoke highly of someone who worked hard. Their reputation proceeded them and they were highly sought after. They were never known for cutting corners or doing the bare minimum to get the job done. 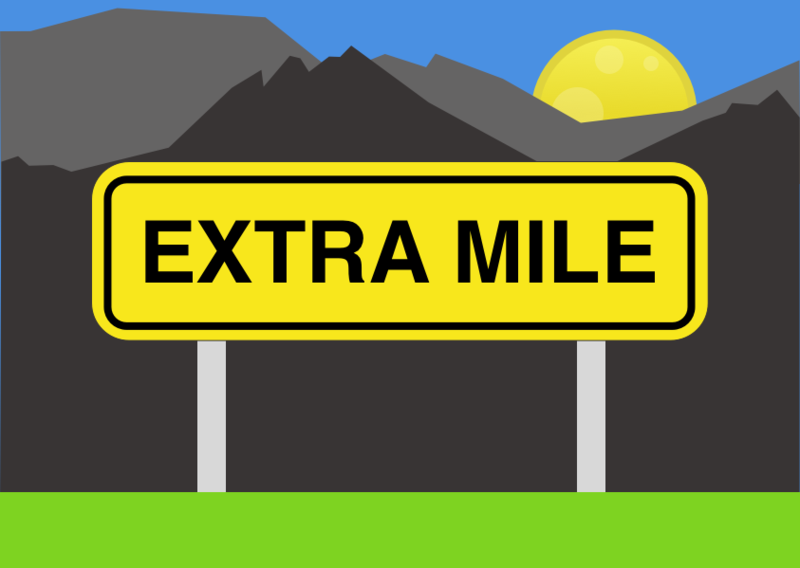 So, instead of doing the bare minimum only, what can we all do to improve our work ethic? Challenge ourselves to do better work, of higher quality than expected and attempt to go above and beyond for a client! If we do that, we can take pride in our accomplishments and be truly satisfied with our work. I'm an email marketer with 10 years experience – feel free to email or connect on Twitter.